Crippled by a world she doesn’t know, plagued by abilities she doesn’t understand, and haunted by a looming threat she can’t remember, [she] struggles to piece together her forgotten past and discover who she really is. But with every clue only comes more questions. And she’s running out of time to answer them. 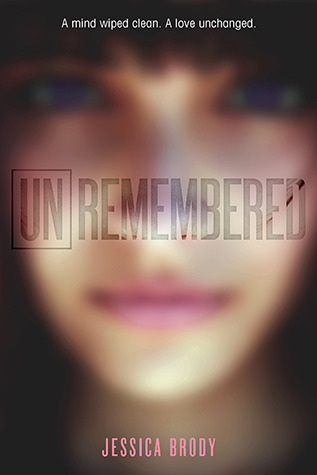 Unremembered is a fast-paced story following "Violet" as she struggles to regain her memory and fit into a world of which she has no memory or understanding. (The actual book blurb gives away Violet's real name, but I've chosen to remove it here, as her discovering it is kind of a plot point. Just be warned if you read the summary of the book anywhere, however.) She goes to live with a foster family as authorities struggle to find out who she is and where she came from (and how she survived the plane crash), but Violet quickly starts to feel that not all is as it seems with her situation. Despite the drawbacks, I did enjoy this book and will probably find myself reading the sequel that the ending of the book clearly sets up. Overall, it was a pretty clean read, I think with only a little bit of profanity, some kissing, several intense chase scenes and some violence, but nothing graphically described. Being a jaded 31 year old myself, I appreciate this review! :) I read the first few chapters on Kindle, and I agree that the narrator is kind of emotionless, although I understand why she is that way. But I still want to know what happens, so I think I'll check this one out!